A versatile liquid formulation that is excellent for control of lesser grain borers, Indian meal moths, saw-toothed grain beetles and other stored product insects. 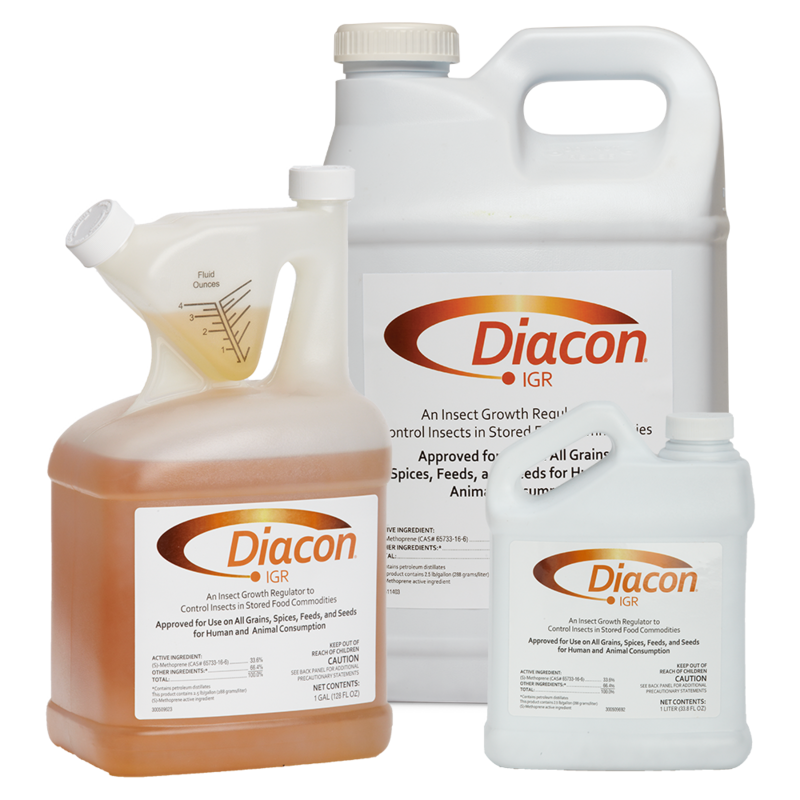 Application of Diacon® IGR is approved virtually everywhere stored product insects are a problem — farm storage, large silos, seed storage and more. It goes where stored product insects go, interrupting their life cycles, providing long-term control and profit protection. Application rates vary by commodity, see label for complete directions. A synergist for many classes of insecticides, PBO-8® works by blocking production of mixed-function oxidase enzymes.